When I was twelve, I was coming home from swimming at my neighbor's dock when I saw an ambulance's flashing lights in our driveway. I still remember the asphalt burning my feet as I stood, paralyzed, and watched the paramedics take away my father. It was as if I knew those flashing lights were a harbinger that my childhood was over. At the hospital, a surgeon performed "minor" elective bowel surgery on my young dad. The surgeon made an error, and instead of my father coming home to the "welcome home" banners we'd painted, he died. At fourteen, I started fainting. The doctors implied I was trying to garner attention. In college I began having full seizures. I kept them to myself, fearful of seeming a modern Camille. I'd awaken on the floor drenched in sweat, with strangers standing quizzically over me. Then, I had a seizure in front of my aunt, a nurse, and forty-eight hours later awoke in the hospital with a pacemaker in my chest. In my early forties I developed Guillain Barre Syndrome, a neurological autoimmune disorder that causes paralysis from the neck down. I found myself in Johns Hopkins Hospital, on the exact anniversary of my father's death, in the same hospital wing where he had died, unable to move. I was a few days shy of turning forty-two, the very age at which my dad had passed away. I recovered, only to relapse, falling paralyzed again. Many of my children's early memories revolve around my bed, where we played board games and read books. It wasn't until I was fifty-one-years old that a physician sat me down and asked me the most important question of my life - one that would lead me to better health than I'd had for decades: "Were there any childhood traumas or stressors that might have contributed to the extreme level of inflammation you're experiencing as an adult?" My physician explained that ongoing adversity in childhood leads to a chronic state of "fight, flight or freeze." Researchers at Yale had recently shown that when inflammatory stress hormones flood a child's body and brain, they alter the genes that oversee our stress reactivity, re-setting the stress response to "high" for life. This increases the risk of inflammation, which manifests later in cancer, heart disease, and autoimmune diseases like mine. The research was stunning. Two-thirds of Americans report experiencing Adverse Childhood Experiences. These include obvious sexual and physical abuse, but also stressors that many consider to be normal -- growing up with divorced parents, living with a depressed or alcoholic mom or dad, having a parent who belittled or humiliated you - or simply not feeling as if your family had your back. People who'd experienced four such categories of childhood adversity were twice as likely to be diagnosed with cancer and depression as adults. One statistic struck home with me: women who'd faced three types of childhood adversity had a sixty percent greater risk of being hospitalized with an autoimmune disease as an adult. Similar links existed between childhood stressors and adult heart disease, diabetes, migraines and irritable bowel disease. Suffering six categories of early life stress shortened one's lifespan by twenty years. However, one study of 125,000 patients showed that when physicians acknowledged and discussed patients' childhood trauma openly, patients enjoyed a thirty-five percent reduction in doctor visits. Validating patient suffering invites patients to address it at last. Yet, despite twenty years of research linking childhood stress to adult disease, the majority of the medical community acts as if these findings don't exist. But shouldn't physicians consider the whole patient - body and mind - so that they can suggest behavioral health tools that will alleviate both the root causes and the symptoms of disease? When physicians help patients come to the profound revelation that childhood adversity plays a role in the chronic illnesses they face now, they help them to heal physically and emotionally at last. All disease is multifactorial. Past trauma is one of those factors. I can't help but think of how my own story might have been different if the medical community had been trauma-aware. 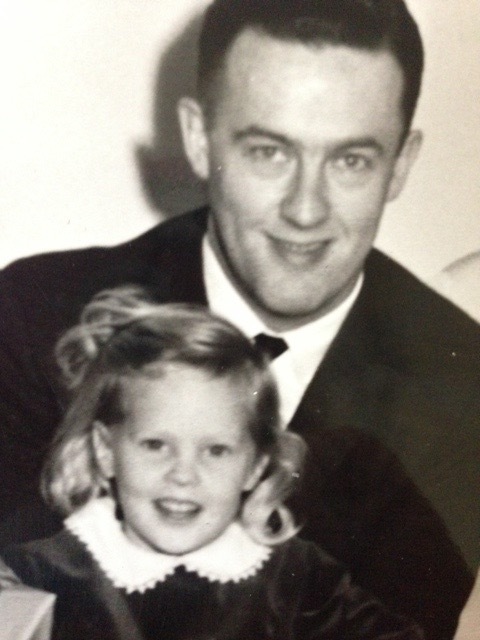 What if, after my father's sudden death, the emotional cost of such a traumatic loss had been validated, and our medical system had offered therapeutic interventions? It's been two decades since the research linking childhood adversity to adult illness began. But think of how much money we might have saved in our health care system since then if we considered the role that past trauma plays in one's current medical condition, instead of waiting a lifetime for it to show up in devastating and difficult to treat diseases that ruin lives for a second time. According to the CDC, the annual health care cost of adult patients who have a history of early trauma is $124 billion a year. Validating patients' past trauma isn't only beneficial for their well being, it translates into fewer tests, procedures, and health care dollars spent. We are long overdue for a national awareness campaign -- similar to public health initiatives on how seat belts save lives, smoking causes cancer, and hand washing prevents flu -- to educate physicians and families on how childhood trauma begets adult illness. Only then can we help those who feel paralyzed by their pasts to achieve the healthy lives they deserve.